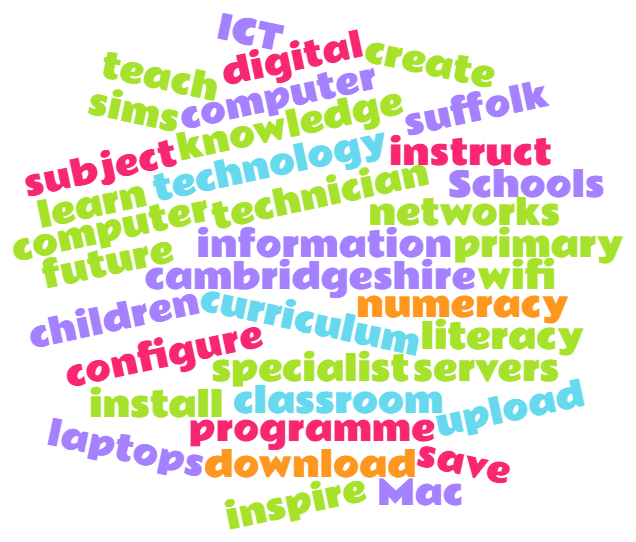 We are an ICT support company that works exclusively with primary schools in Cambridgeshire and on the Suffolk border. We began by working in secondary schools and supporting their feeder primary schools. It became clear that primary schools are vulnerable. They have all the needs of a secondary school or university because technology is at the forefront of teaching and learning. Unfortunately, they don’t have the resources or budget to pay for full time members of staff to cover the work. Major Seventh is there to fill the gap. We maintain an on-going relationship with our primary schools. We’re different because we care. We embed ourselves as virtual members of staff and although we may only be there three hours a week, or even three hours a fortnight, our presence is continuous. Our schools trust us (most have been with us for over 10 years). Our staff team have been educators so we understand the application of technology within a class setting. We don’t up-sell: we advise based on good practice and what the schools really need to bring their ICT up to current standards. Our work is in line with the policies recommended by Cambridgeshire County Council and those of The Education Authority. We help schools create an ICT vision that works for them and we offer on-hand support to keep it all working as it should. We're Microsoft Certified and fully versed in modern technical structures.